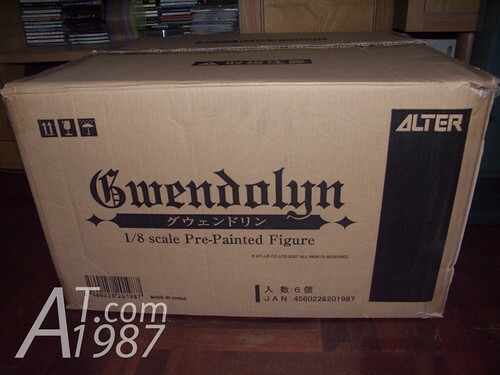 Gwendolyn kit is in the dark brown box and this box is very large compare to other box that contain the same scale size figure. The Gothic style font is also used on the text. In my opinion they should use the same font as the game package. There is Atlus’s Jack Frost sticker on the box. 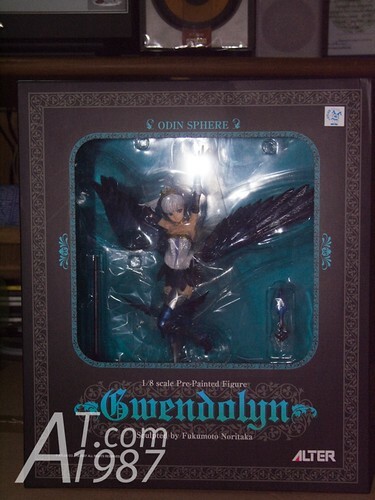 It tells you that this Gwendolyn is official licensed product. The figure in plastic pack. The plastic sheet covers wings and armor. 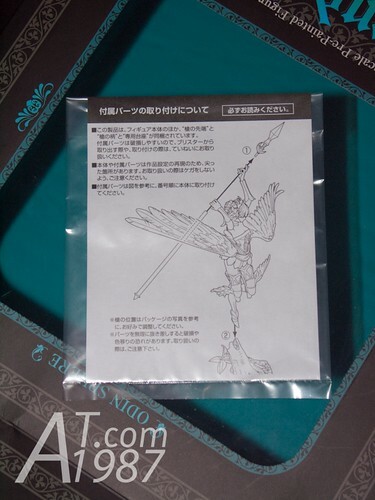 The instruction to assembly the spear and attach the figure to the base. This figure has very high detail. 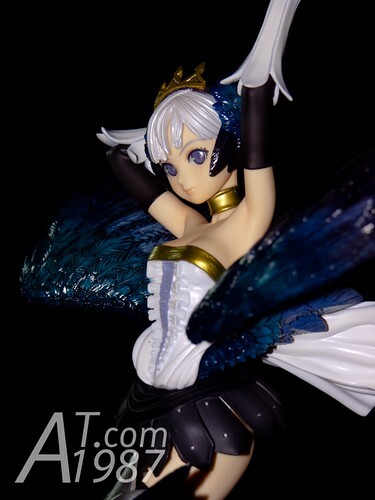 You can see it on many parts of this figure such as the wings and the flowers on her head. 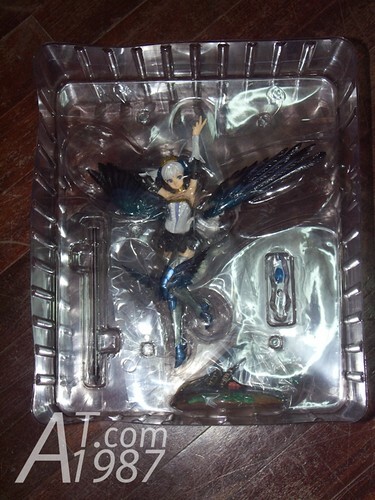 There is the using of transparent plastic in this figure. 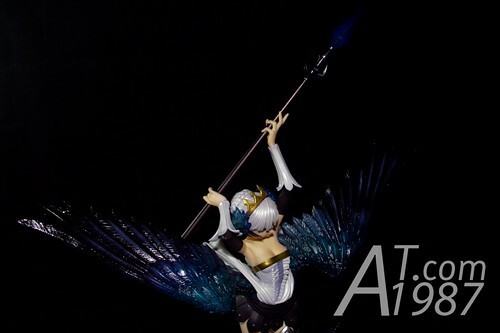 The parts which was made of them is the crystal spear head, the wings and the flowers on her head. The face is beautiful and charming but the design isn’t as same as the original design. 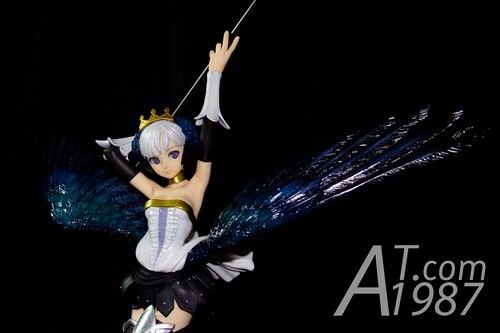 I thought it look like Persona figure design from the same company. 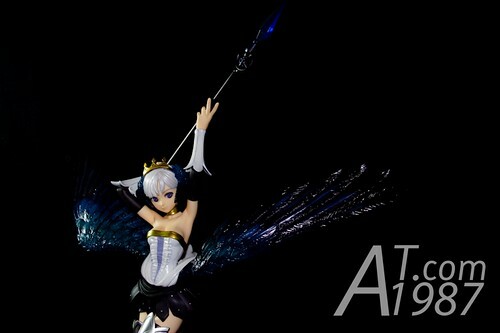 Althought I prefer to the original design but this design is good and almost Atlus game figures from Alter have this style of face too. 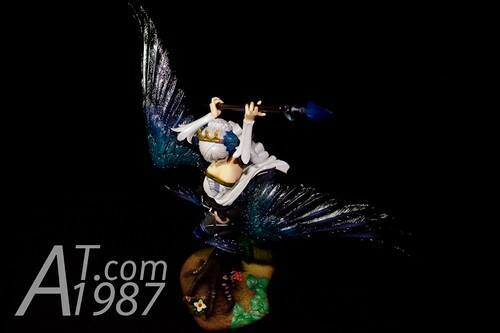 The base is great too but I thought that the figure will fall from it for sure. Because the joint is short in my opinion and the base has too less weight than the figure. This is the best figure of all figure I have. Full of detail. Charming face. Crystal wings. 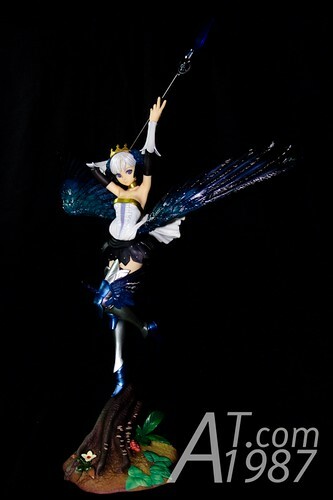 I don’t hesitate to give the No.1 to this figure but if you put her on the base. 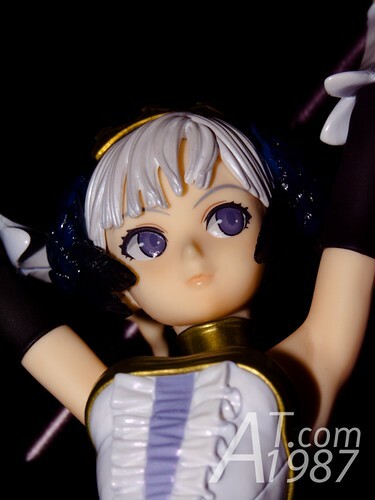 Please be aware than the base has the less weight than the figure.